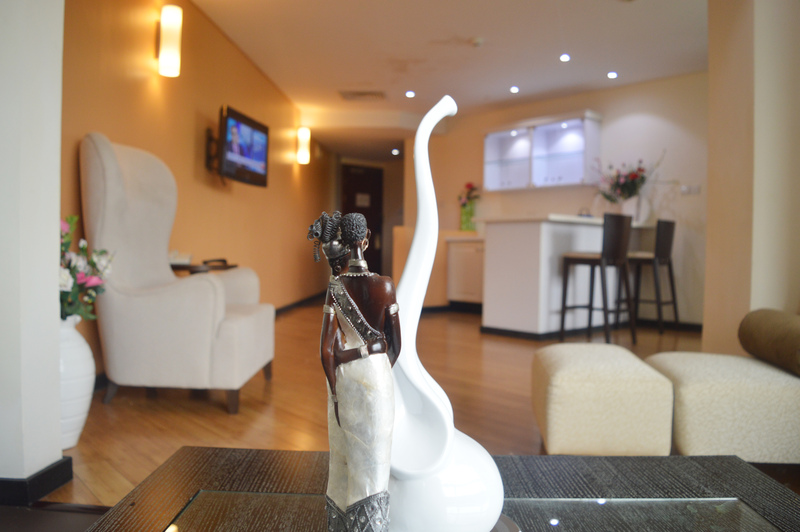 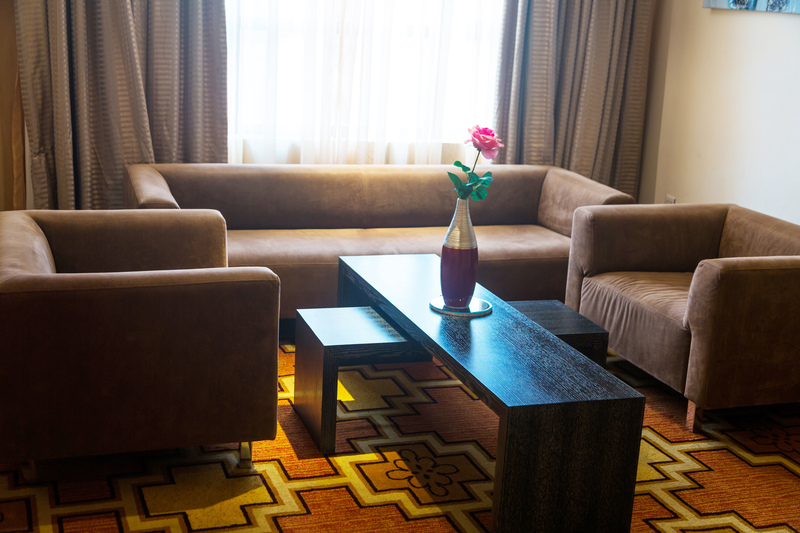 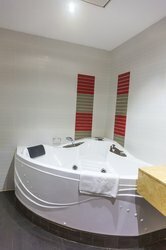 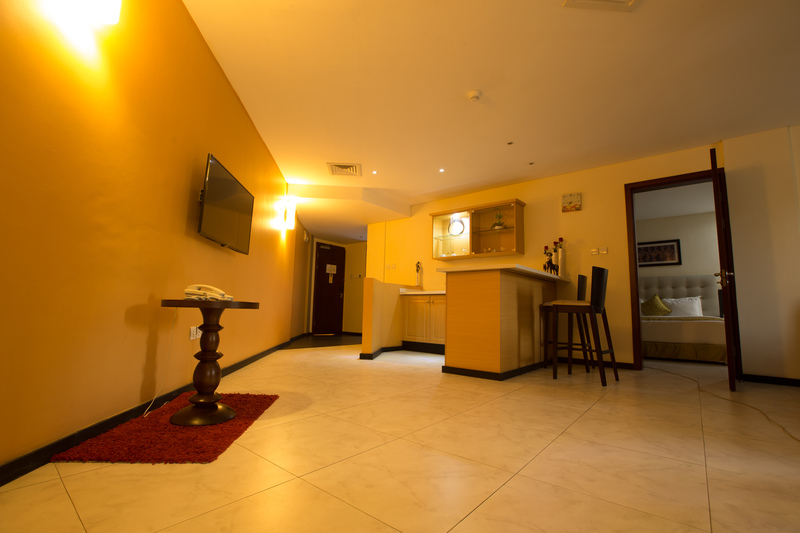 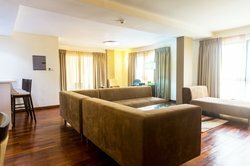 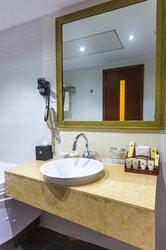 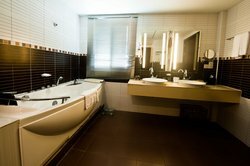 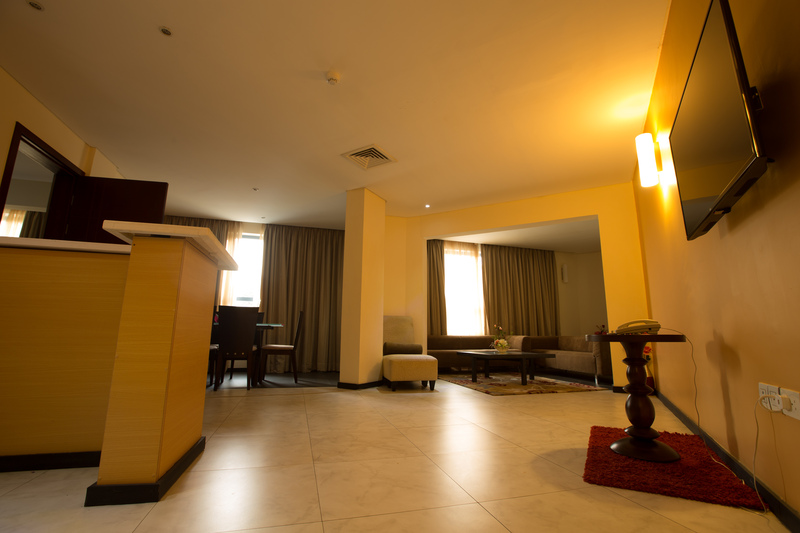 Experience the Premier standard of luxury accommodations at our Accra airport hotel. At Best Western Premier Accra Airport Hotel, we invite you to experience a higher standard in luxury accommodations at an exceptional business hotel. Our first-class selection of rooms and suites leave little to be desired for either a short-term or extended stay. 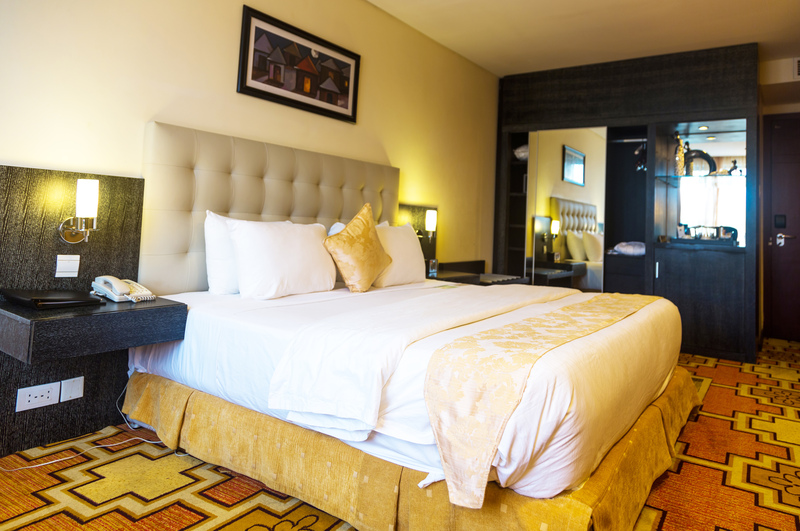 Each of our rooms comes equipped with a selection of well-appointed amenities, premium bedding, air-conditioning, access to high-speed internet, cable and satellite TV, black-out window coverings as well as bathrobes and slippers for your ultimate comfort. 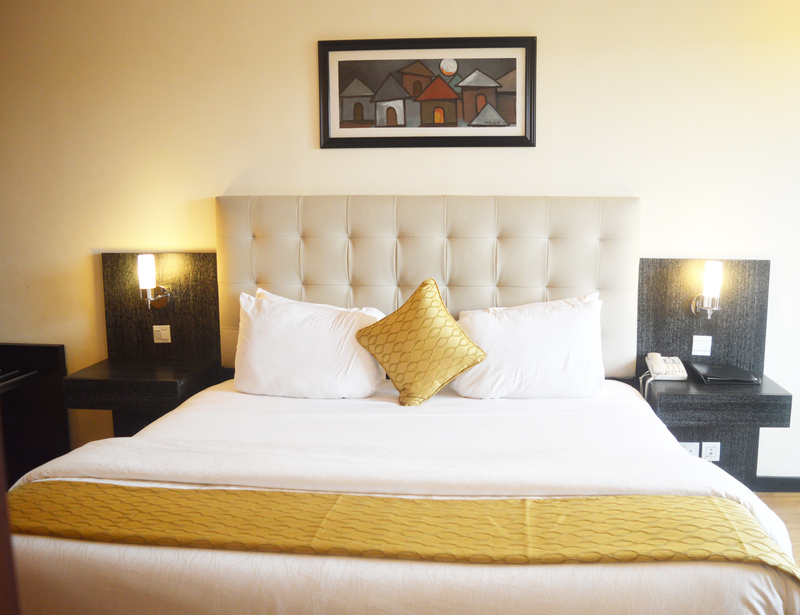 Our Standard Rooms are a comfortable option for weekend and short-stays alike. 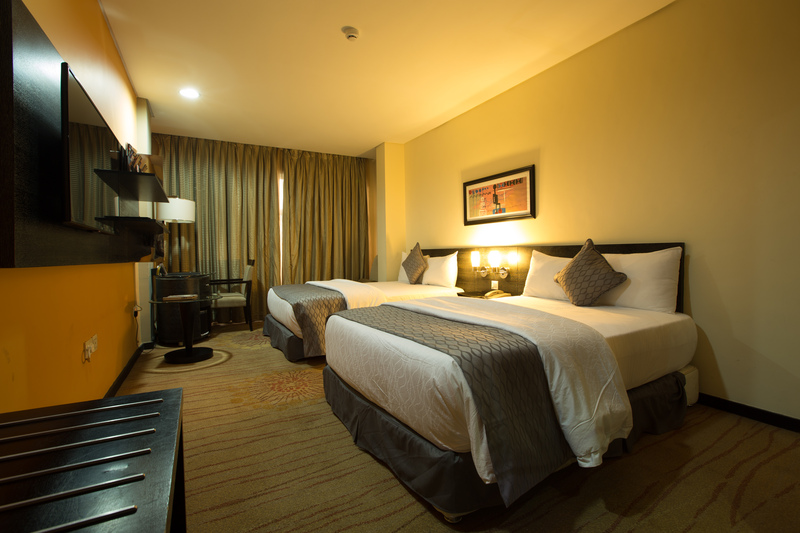 Get cozy in high-quality bedding that outfits two twin beds in this spacious room. 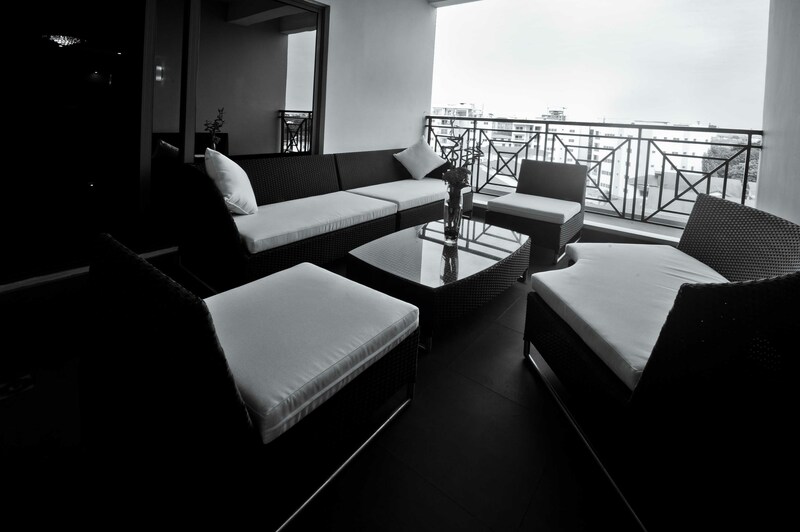 You’ll enjoy a beautiful view of the hotel grounds, overlooking the terrace, swimming pool or hotel facilities. 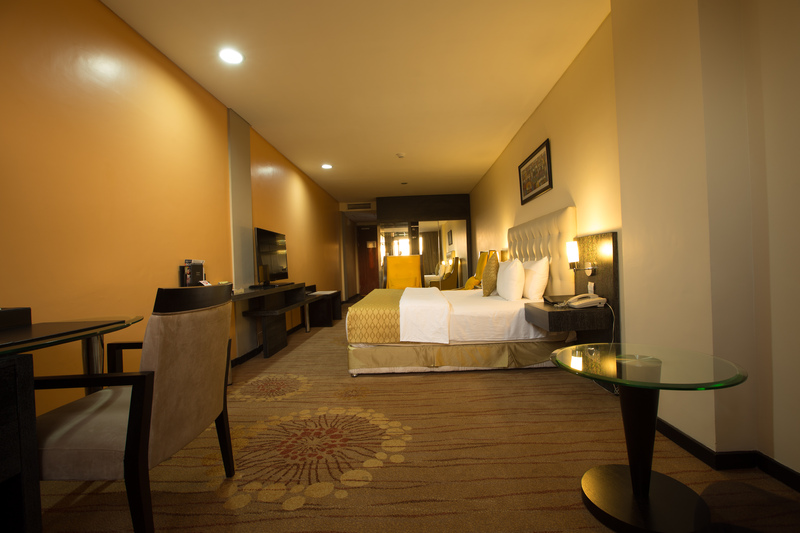 Our rooms come equipped with well-appointed modern features, ensuring both your convenience comfort and convenience. 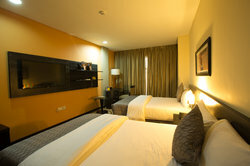 Enjoy easy access to high-speed internet, a dedicated study desk, mini bar, iPod docking station, 32” plasma TV and more. 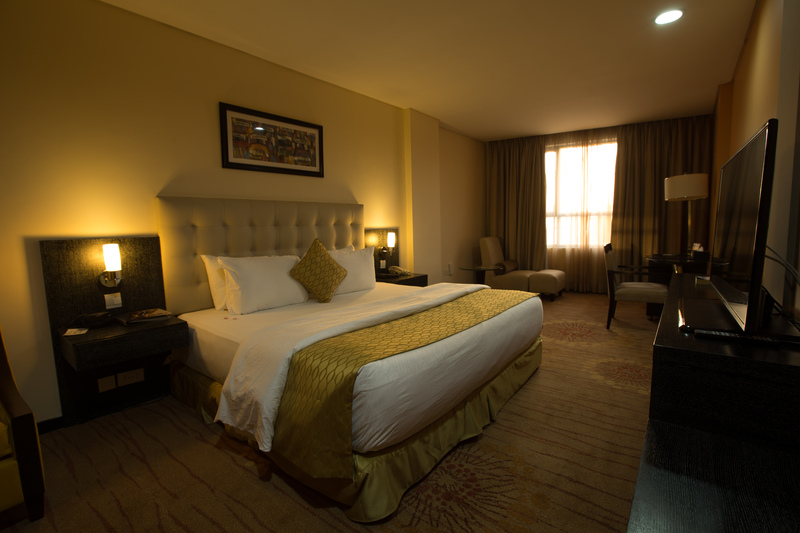 Experience the true comfort of luxury in all that our premier room has to offer. 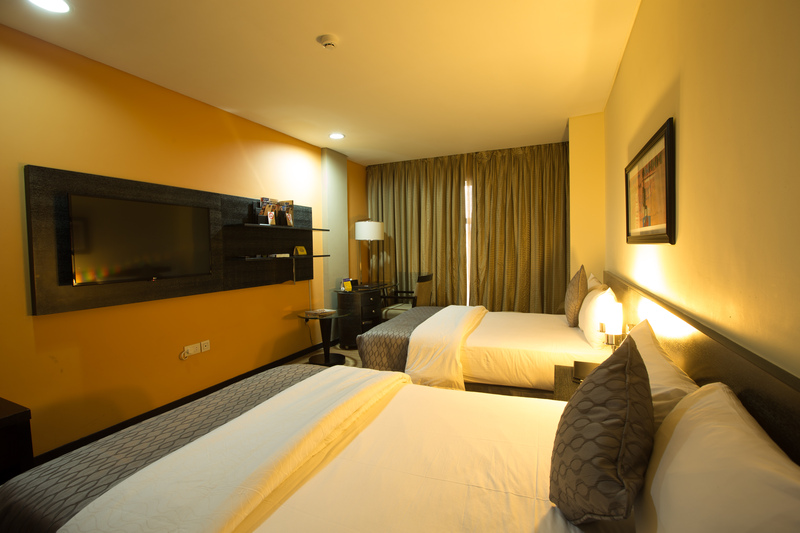 Make yourself at home in a spacious, well-furnished room that allows spaces for comfortable lounging and relaxation. 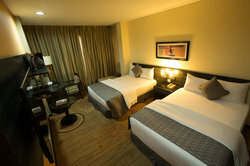 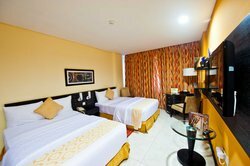 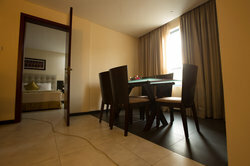 Each room is well-equipped with first class comforts and modern features that you’ll appreciate. 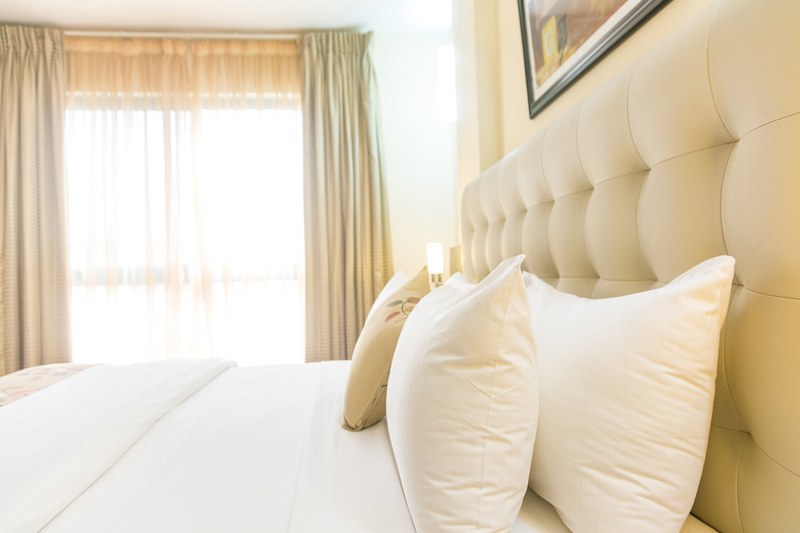 Sink into relaxation with warm, high-quality linen outfitting a queen size bed and luxurious pillows. 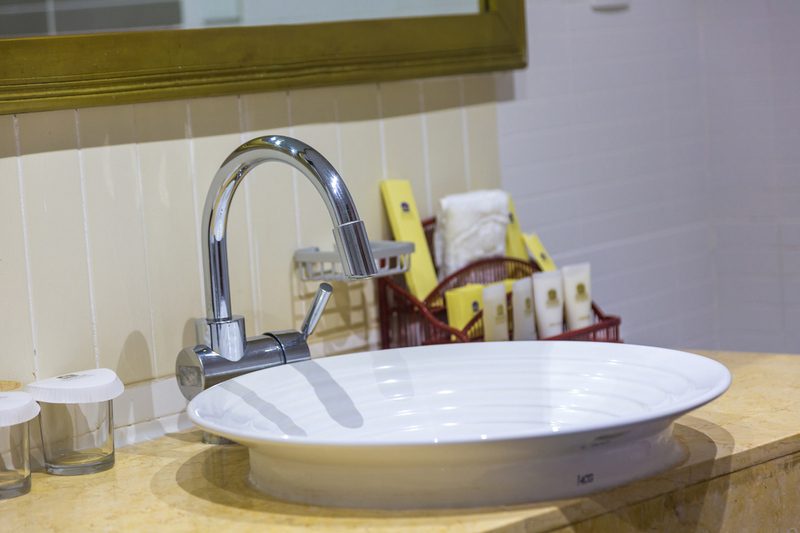 Rest assured that you’re needs are looked after with our accommodating service. 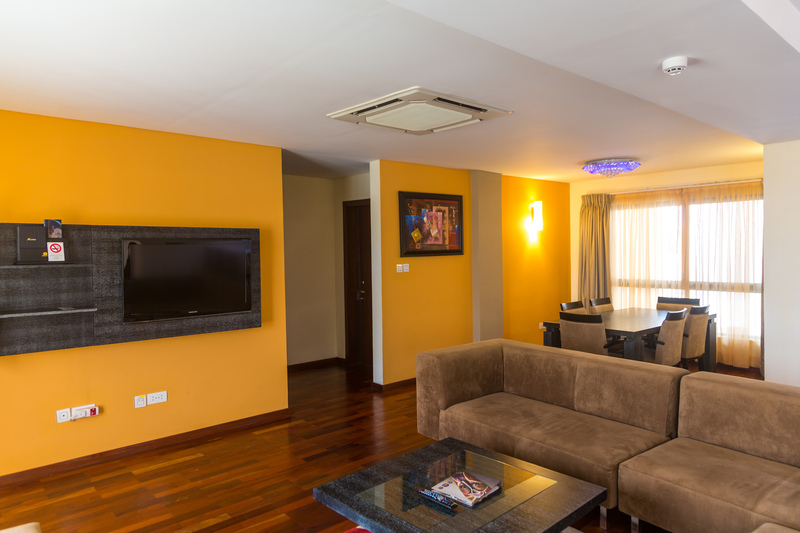 Enjoy a host of convenient features including high-speed internet access, a dedicated study desk, mini bar, iPod docking station, 32” plasma TV and more. 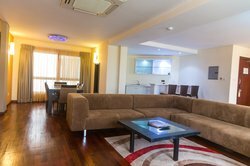 Our Junior Suites are the perfect retreat for a quiet night, weekend getaway or longer stay. 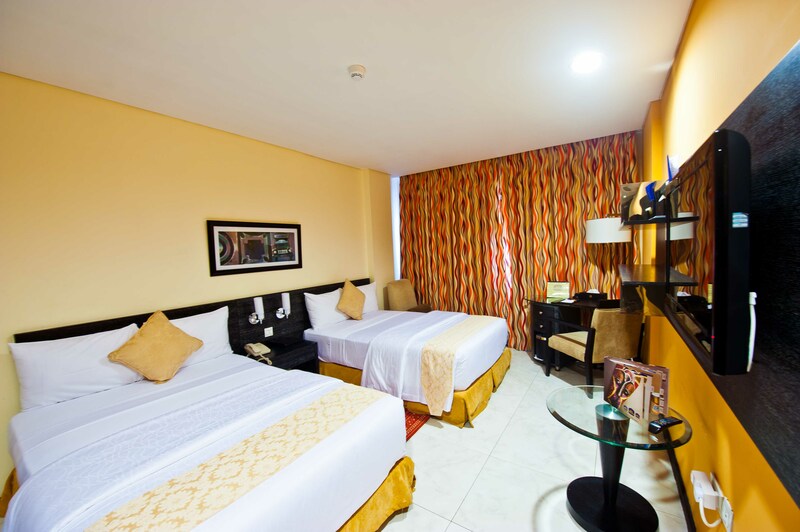 This one-bedroom apartment provides the peaceful ambiance that guarantees a restful night’s sleep. 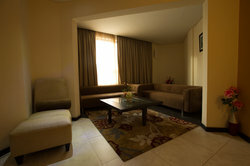 Our suites feature a sizable king bed and a well-furnished living area for lounging. Stay connected with high-speed internet access and the convenience of a large desk for all your business needs. Each Junior Suite offers a unique view of the terrace, pool or hotel grounds. 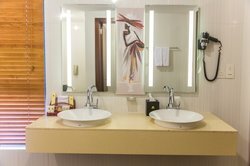 Enjoy a host of convenient in-room amenities including in-room dining, mini bar, iPod docking station, 32” plasma TV, in-room safe, complimentary robe and slippers and more. Located in the west wing of the hotel, our Premier Suites offer the luxury of a private one-bedroom apartment with well-appointment features for even the most discerning business traveler. 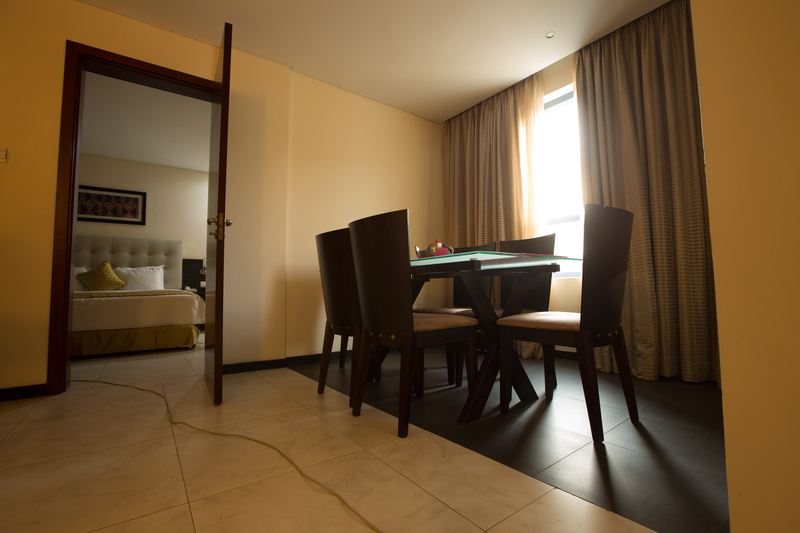 Guests can enjoy a relaxing environment combined with the functionality in this suite with separate dining and living space. 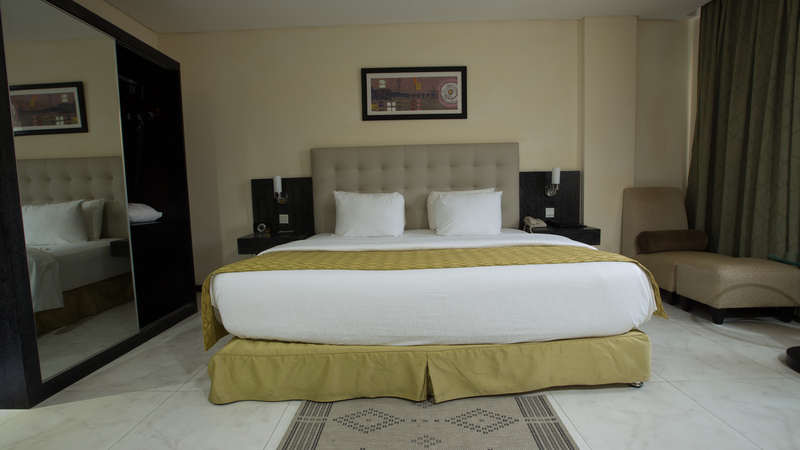 Enjoy a handsomely furnished room with a king size bed outfitted in gentle linen for a restful night’s sleep. 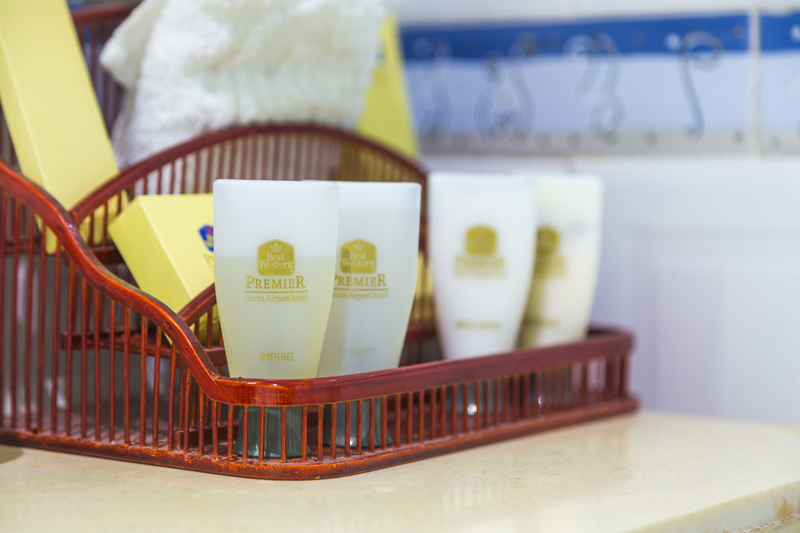 Each Premier Suite is equipped with all the comforts of a first class business hotel including high-speed internet access, in-room dining, dedicated study desk, two 32” plasma TVs, as well as a complimentary bathrobe and slippers. 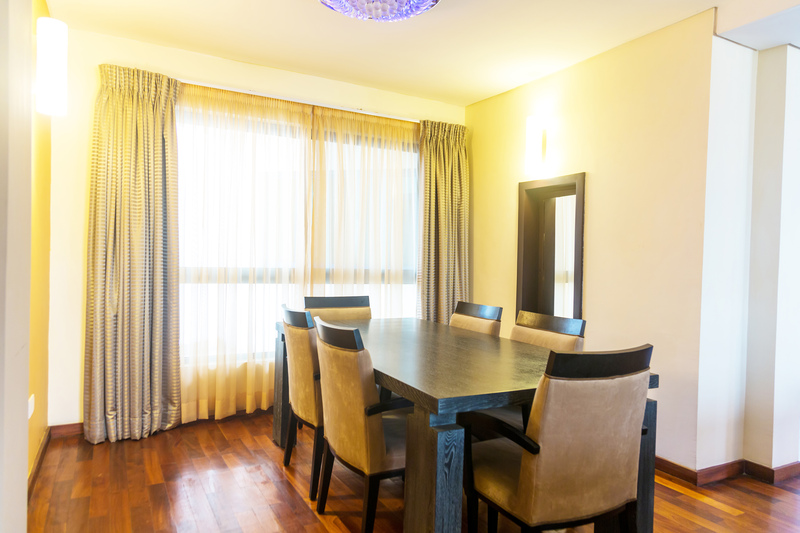 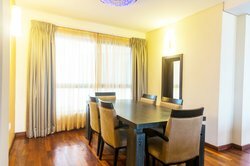 Enjoy the luxury of two and three bedroom apartments that offer privacy, tasteful interiors and a beautiful Aburi hill view from a private balcony. 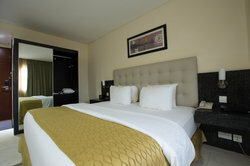 Each bedroom offers a cozy king size bed smoothly outfitted in premium linen and plush pillows. Ideal for families or large groups, penthouse accommodations are equipped with a well-furnished living space and kitchenette including a microwave and espresso machine for your convenience. Stay focused with two dedicated study desks and easy access to high-speed wireless internet. Feel refreshed in a spacious bathroom that offers both Jacuzzi and standing shower. 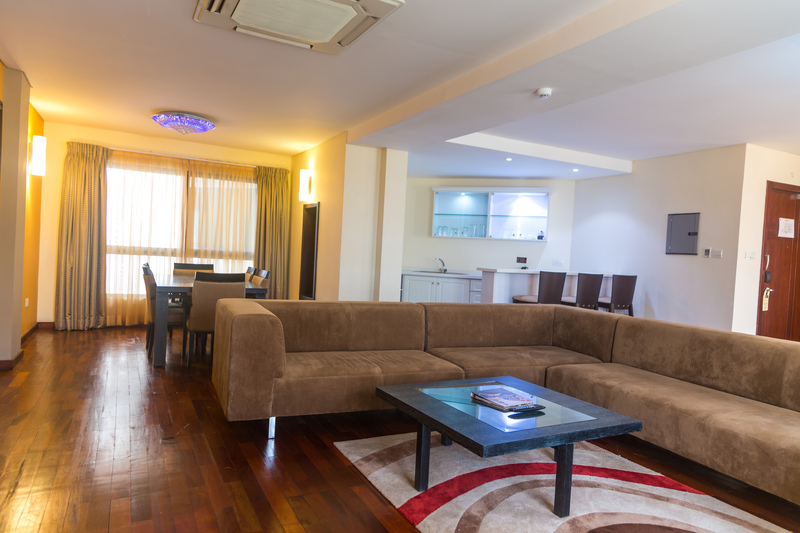 Feel at home in a suite that responds to every need of today’s modern traveler. 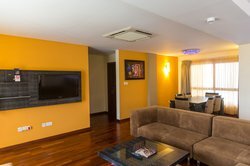 Feel at home in the luxury of a two bedroom apartment that offers privacy, stylish interiors and a beautiful Aburi hill view from a private balcony. 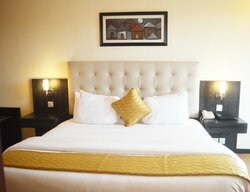 Each bedroom offers a sizable king size bed outfitted in premium linen and plush pillows. 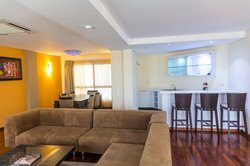 Perfect for extended stays, penthouse accommodations are fully equipped offering a well-furnished living space and kitchenette for your convenience. 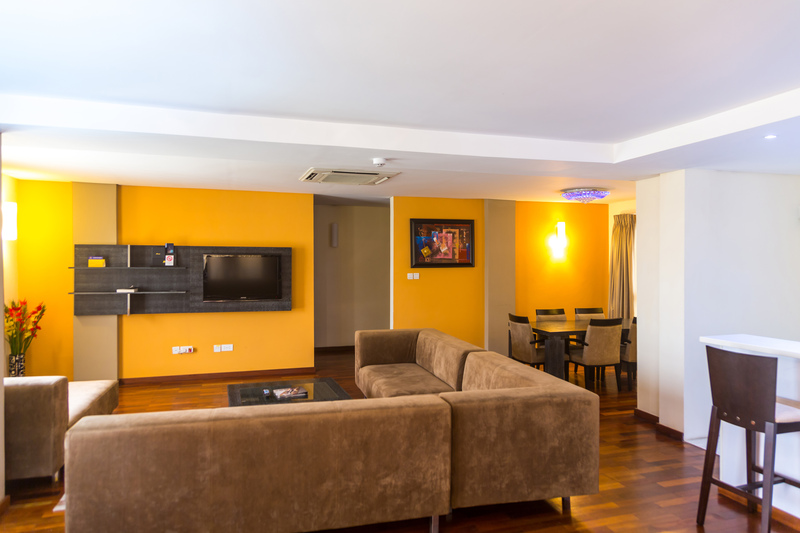 Stay connected with easy access to high-speed wireless internet and two plasma TVs. Feel relaxed with complimentary robes and slippers, a fully stocked minibar and iPod docking station for your acoustic enjoyment. 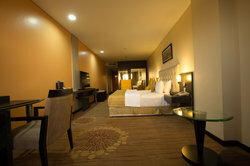 Get cozy in a suite that responds to every need of today’s modern traveler.